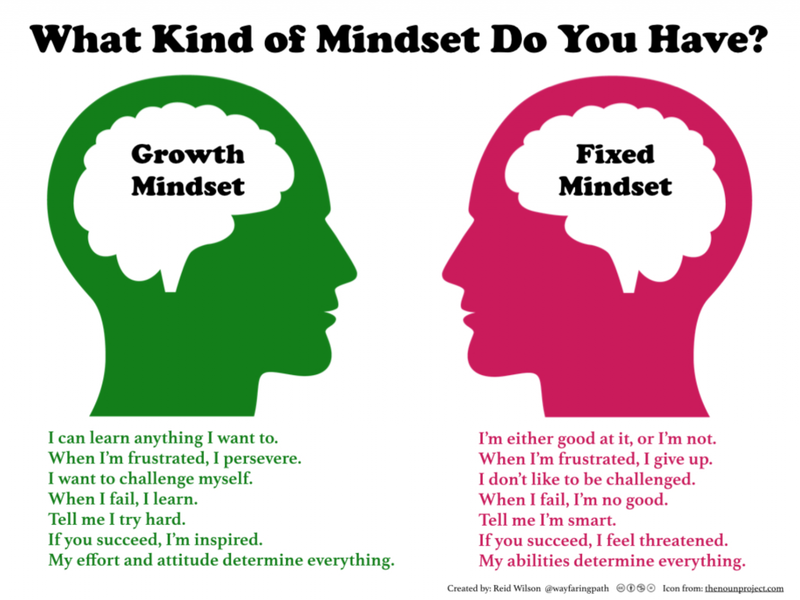 In order to understand how to take on the practice of creating a growth mindset, first, take a look at the difference between the two mindsets; a fixed mindset and a growth mindset. 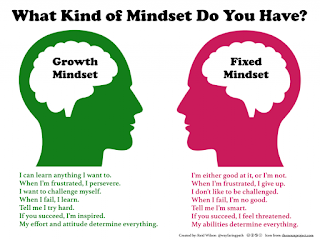 A fixed mindset, especially in the area of academics, intelligence, and study dictates that it is what it is or that the status is fixed, unchangeable and with no room for growth or potential. You might be asking, “What does exercise have to do with gaining a growth mindset?” The answer is there is a different type of exercise you can do. It’s not the physical kind – it’s the mental kind. When you exercise your brain, you give this muscle a chance to grow and expand over time. If you want to gain a growth mindset, you need to take on new, challenging things. Once your brain sees that it can overcome challenges, taking on more challenges becomes easier over time. Once your mind recognizes you are taking on something new, fear can become minimized and new things will be placed in the part of your brain compartmentalized as something not to be feared. If you have a certain learning capacity and accept that this is your limit, then that will be your limit. However, on the other hand, if you work harder, take on more learning, and then work even harder, you will begin to notice a shift. You will begin to challenge your own status quo. The harder you work the more results and rewards you will see. You will shift your mindset to understand that the more effort you put in, the more effort you will get out. It doesn’t have to stop at a certain static place. You can work hard, you can put in more effort, and you can achieve different results. Have you ever heard a point of view or a perception that was astonishing and bold? Do you sometimes see how other people set the bar a bit higher, try new things, and work harder? Just because you have to work harder, does not mean you cannot be more successful. Take some time to examine a certain area of your life, such as academically, and see if you can’t think outside the box, enter new territories, and achieve higher goals. After all, anyone who has made a medical breakthrough or achieved a higher goal has probably done so by working harder, trying new things, and stretching way outside of their comfort zone; and you can too.